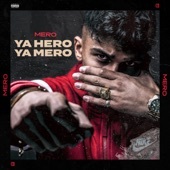 There are several artists named Mero: 1) Mero (Germany) is a rapper. 2) Mero (US) is a former music duo, founded in 1999 by Simon Cowell, but which was axed a few months later, because Cowell and RCA gave girl band Girl Thing priority over Mero. Lead singer D-Mac wrote their biggest hit "It Must Be Love" at the age of fifteen, and was seventeen at the time of Mero's period of fame.